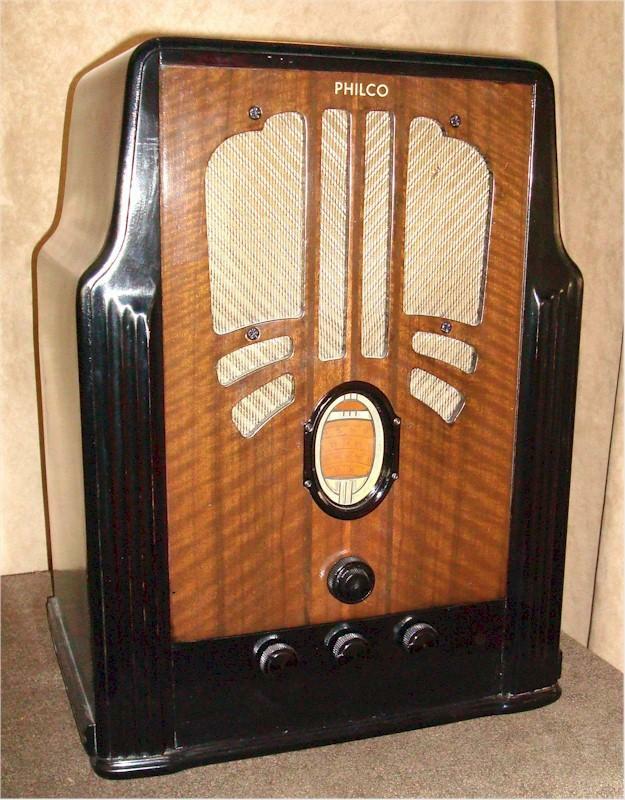 You are looking at a scarce variation of this Philco classic. The radio looks like the American model 636B, but the radio Chassis, made in Canada and is a chassis model 3650. So enjoy the great-shouldered looks of the rather special shaped cabinet and know the superior electronics, required by the Canadian government, are inside. The radio has a much larger and heavier transformer than its American counterpart has, and plays even stronger and clearer for the factory's efforts. The radio is a large table set at 20-1/2"H x 16"W x 12"D. The radio plays great and has seen a complete professional restoration. The radio should provide many years of great enjoyment. I have given you a close-up of the multiband dial. This was a strong and four-band set in its day. The radio today, will still receive your broadcast and shortwave bands. You are visitor number 3,531 to this page.